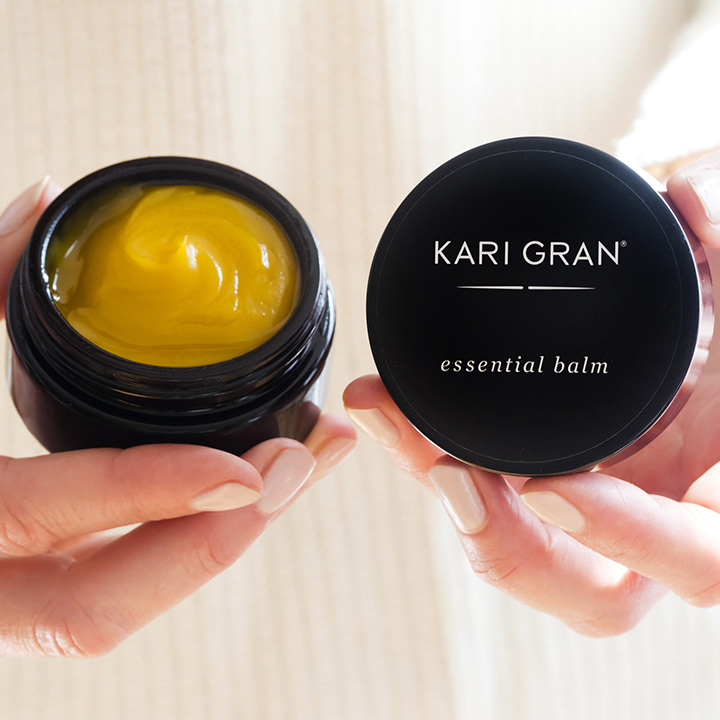 A Hero product after our own hearts, Essential Balm keeps things simple by doing ‘more with less’, making this our top pick for the season. 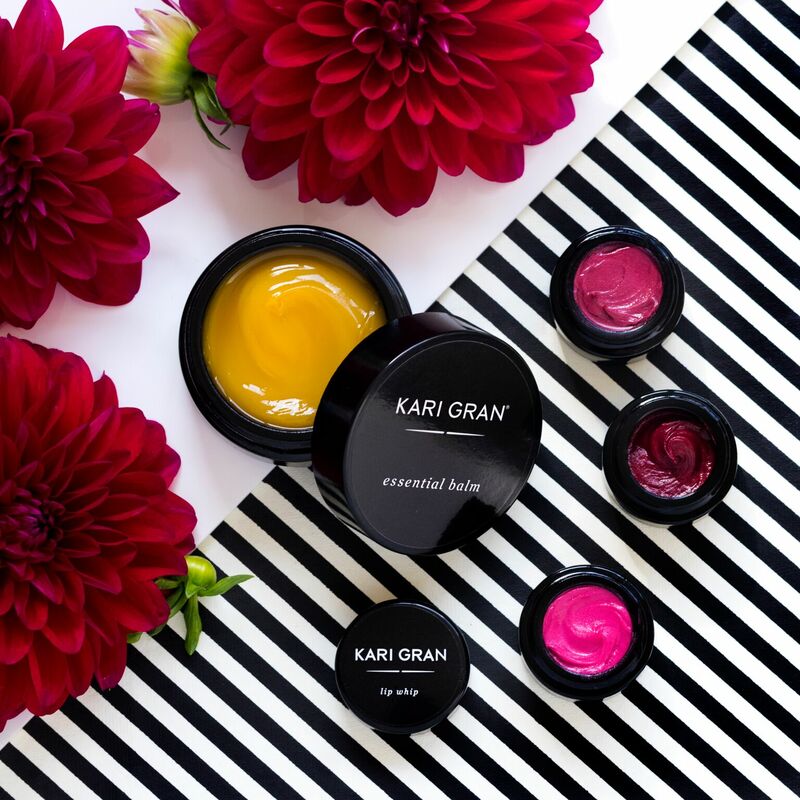 Building on the success of her classic face serum, Essential Serum, Kari Gran has managed to pack the most effective organic ingredients into multi-benefit wonder whip that can be used above, below or sans other products. Unlike a traditional melt-and-pour balm, this daily essential has a buttercream texture and loads of slip, meaning a little goes a long way. Part face balm, part eye cream, part primer, the ingredient list on this do-everything formula reads like a “Who’s Who” in Superpower Ingredients, featuring organic green tea seed, avocado, rosehip, calendula and jasmine. 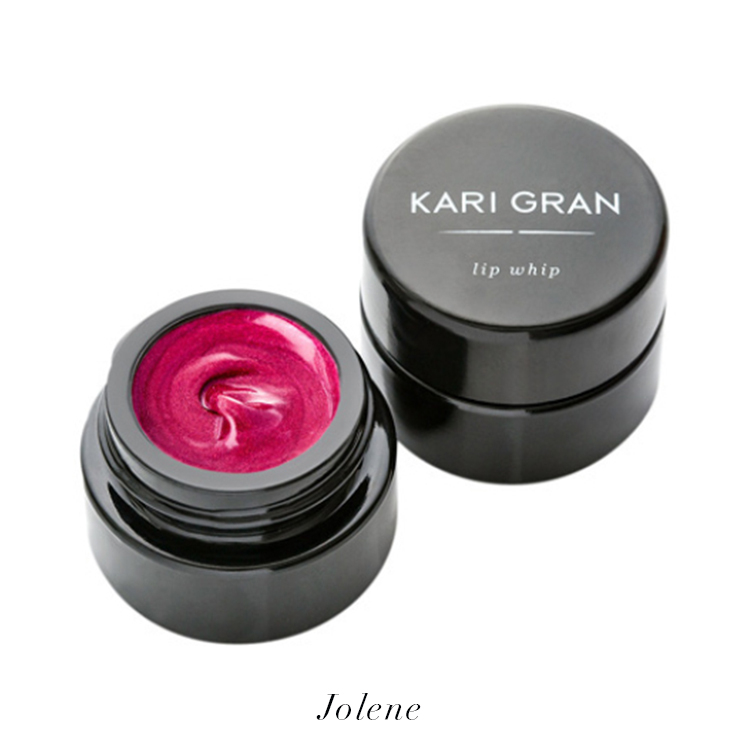 This Holiday Discovery includes a full size Kari Gran Essential Balm ($95) and your choice of Tinted Lip Whip ($21), and has a total value of $116. NOTE: Limited-time-only discoveries like this one do not quality towards our LOVE MORE gift included with all orders of $125+ from our Beauty Store. Why stop at skincare? Apply the same whipped hydration to your lips. 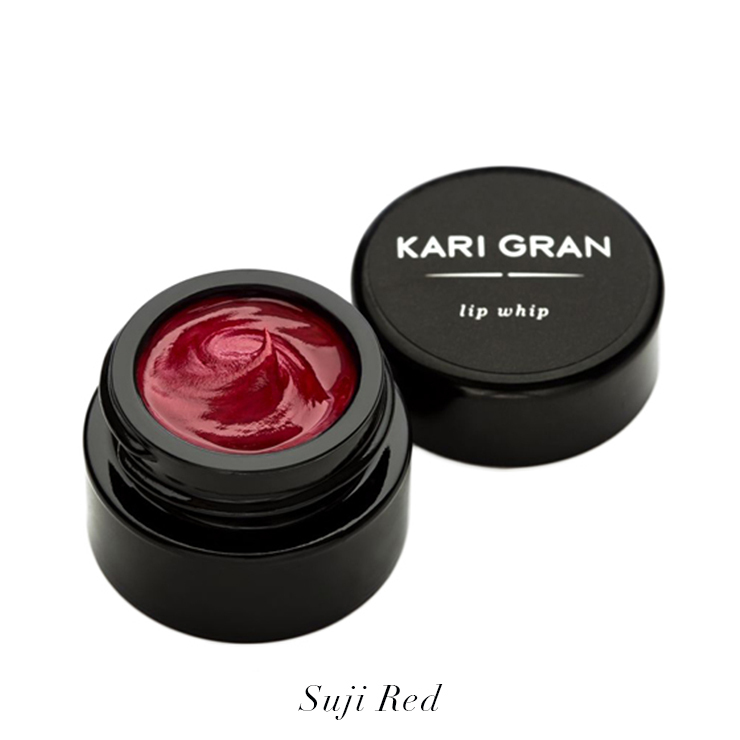 The Colored Lip Whip by Kari Gran is the perfect hybrid of balm and lipstick, delivered in bright, opaque pigments. Formulated with a soothing combination of only the finest organic ingredients, Lip Whips offer a healthy moisturizing boost with just the right amount of color and gloss. Inspired by former beauty editor turned health coach, Jolene Hart, this berry-bursting color makes a statement when worn alone, or pairs well with the Shimmer Lip Whip for a bold rosé champagne shine. The perfect holiday shade, this crushed cran-apple red delivers a bold and beautiful pop of color. A tempered shade of plum, this beautiful hue works well with cool and warm skin tones and leaves just a touch of shine.